Over the last few years a selection of classic Crawford Productions series – including Homicide, Division 4, Matlock Police, Skyways, Carson’s Law and Holiday Island – have been screened in late-night timeslots on regional network WIN, which has owned the Crawfords business since the late 1980s. Recently, Crawfords Australia (as it is now) have started to release episodes of other series on DVD. 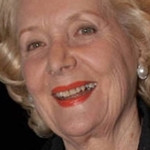 The series gave the Nine Network one of its few drama successes in the ’80s, among a string of failures such as Starting Out, Taurus Rising, Waterloo Station, Possession, Prime Time, All The Way and Kings. The Flying Doctors was a success in Australia and overseas and ran until 1992. The series was relaunched as RFDS in 1993. RFDS, which featured few of the Flying Doctors cast and shifted the focus of the show from the fictional town of Coopers Crossing to the real-life town of Broken Hill, failed to catch on with viewers and was not extended beyond its first series. Crawfords Australia have recently released a DVD box set featuring 234 episodes of the series. The Crawfords website does not mention if this also includes the initial 1985 mini-series and/or the RFDS spin-off. The 48-disc box set is certainly one of the largest DVD releases in Australia but is still a far cry from the long-running Australian series Prisoner which has just had all 692 episodes re-released in a 174-disc set – believed to be the largest DVD release in the world. And another Crawfords series is also getting a new life on DVD. 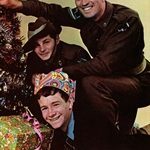 The Sullivans was the highly-acclaimed series depicting the life of a Melbourne family during the time of World War II. 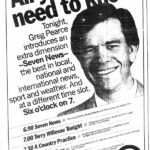 The series debuted on the Nine Network in November 1976 and was an immediate success. The Sullivan family was led by Dave (Paul Cronin, formerly from previous Crawford dramas Matlock Police and Solo One) and Grace (Lorraine Bayly) with daughter Kitty (Susan Hannaford) and sons John (Andrew McFarlane), Terry (Richard Morgan) and Tom (Steven Tandy). The Sullivans was a hit in Australia, winning a swag of awards, and sold to 20 countries. Even though World War II ended in the series in 1981 the show continued to depict life in post-War Melbourne. Bayly had left the series in 1979 but production of The Sullivans wound up after Cronin decided to leave in 1982. After 1114 episodes The Sullivans came to an emotional end on screen in early 1983. 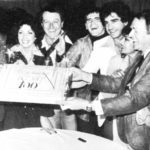 To coincide with the 35th anniversary of the show’s debut Crawfords Australia released the first 50 episodes of The Sullivans on DVD before Christmas and are planning to release the next 50 episodes this year. Both The Flying Doctors and The Sullivans DVDs are available via the Crawfords Australia website. Crawfords Australia is recently putting Homicide on DVD and the first volume will be released in few months. where’s cop shop coming on dvd? i love to own that on dvd. I have plenty of episodes of this great show. Just wondering how many episodes after the first 150 you have? She want need order The Sullivan’s vol 7 Seasons 2Quantity1 DVD . I let know about DVD number 7 to ? While I am not aware specifically of Fields Of Fire on DVD an increasing number of classic and current television programs are being retrieved from the archives and being released on DVD – check your local or online DVD retailer. Really hoping The last of the Australians will be released soon. I reckon this was the funniest show on tv. Alwyn Kurts and Rosie Sturgess were brilliant !!! We just enjoyed 26 episodes of Carson’s law. How do we get the rest please. I’m not aware of any further releases but suggest you keep an eye on the Crawfords website for any updates. Hi when is series 3 of Carson’s law to be released and will the whole series follow. As per previous response above, I’m not aware of any further releases but suggest you keep an eye on the Crawfords website for any updates. So guys where to find out what classics are available and where to buy them? Crawfords haven’t decide to put Alice To Nowhere on DVD but I saw it on YouTube. Hi Pat, I have 130 Cop Shop DVDS but missing at least 15 episodes. I taped them on Galaxy in 95/96. I have been told they will never be released on DVD. I would love to get a copy of all your cop shop episodes..
Cop Shop has been released & is currently selling Volume 8 according to Crawford’s DVD. I haven’t collected any of the volumes as yet & I’m not 100% sure as to how many episodes there are per volume. I think it may be 26. I suggest you keep an eye on the Crawfords website for any updates. Excellent to see homicide and division 4 released on dvd. Wouldd love to see cop shop, skyways, matlock police and class of 74 and 75e released on dvd so we can own them and watch commercial free at our leisure. Division 4 on DVD on sale at Crawford Productions now. Seems like there is a demand for Matlock Police on DVD, dont know who owns the rights but i would love to get the series, if it takes much longer to release, all the baby boomers who enjoyed this Australian production in the 70’s may not be around to buy it. I agree with your comments that more material should be released on DVD although some of the titles you listed are Reg Grundy Organisation productions and it seems that, now it’s part of FremantleMedia, they are not as keen to release as many classic titles. But hopefully Crawfords will continue to bring out more titles on DVD. Will you ever be releasing on dvd, the Hendersen kids? Can I please get the series of Holiday Island? I am going to order 3-11 of the Sullivans is that the end of the show or is there to come,there was 1114 show but only 550 series on 1-11. I’ve been hoping for years that Cop Shop will come out on DVD.Any chance of that happening?Also the show GP that was shown on the ABC 1989-1997? Cop Shop and G.P would be awesome !!! I haven’t seen COP SHOP since it’s nocturnal reruns in the 90s. Please tell me it will get the digital treatment? Great cast, characters. How long do we have to wait?? my husband has been asking for the mini series “Sword of Honour”. Is that made by Crawford Productions and if so, would it be ever available on dvd to purchase? Will Crawfords be putting Cop Shop on DVD? It was the first time a police series showed the personal lives of the police. Fabulous Aussie drama starring the ever talented Peter Adams and many other great stars. Holiday Island – yep, that too. Most of these are in colour as well. The last part of Matlock was in colour. . Would be great to see the cavalcade of guest stars that appeared in these classic shows. I just love Holiday Island. Is there anyway I’d be able to get all 80 episodes on DVD from Crawford’s. Yes I would love to see Matlock and Bluey. I have seen some on reruns but would love to see all of them that I missed as I was a bit young to watch them in the 70s. In fact any old Aussie shows I love watching. It is great to see all the actors that appeared and the scenery and just seeing that part of our era. When life was a lot simpler. Gee I wish I would have been born a few years earlier to see these classics when they were first put on TV. If only I had a time tunnel, I would go straight to the 70s. I would really love it when Skyways would be available as a DVD boxset. Please, please, please would it be possible? Rumour has it episodes of the Box will be out on DVD. I have the 1st 9 Volumes of Homicide & 1st 5 Volumes of Division 4 & Volume 1 of the BOX . Awesome oz classic tv. I really want to see Matlock Police & Cop Shop ASAP. Bluey, Ryan i want to see also. It really is a shame that Reg Grundy will not release The Restless Years and some of those classics. We need more aussie released shows and less of the yank shows, so good on Crawfords for supporting Australian TV and actors. As a few other people have also said, I would love Last Of The Australians to be released. DVD or Blu Ray…. even VHS would do me at this point… laser disc? Beta? CED? I would prefer one of the formats other than Betamax or CED though, I don’t have the players for those, and I’m sure they’re not cheap these days… but I’ll take what I can get! i really don’t understand why they don’t put these classics onto iTunes to download?the episodes and movies are just going to sit in their archives collecting dust and when they do decide to release them it will be too late as the film negatives will probably have perished.i understand it costs money to release these things but as the saying goes you need to spend money to make money!!!! Is police rescue ever going to be available to buy on dvd? It has been released on DVD’s. I have the full 5 seasons on DVD. Out of production now though. I have heard from Abc that it will not be re released. DVD. Do you know if Crawfords will be releasing in the near future.